As I reflected on Microsoft’s Surface event earlier in the week, I was reminded again that in its current form at least, Microsoft is still not yet making a tablet. They are making a PC that kind of looks like a tablet. Unfortunately, for them tablets are successful for reasons PCs have not been. By applying a PC centric philosophy to Surface, the device in it’s current form is still likely to fare poorly in the market place. Steve Jobs articulated what Microsoft doesn’t seem to understand. In the article I wrote last year Why I’m Convinced Tablets are the Future I made a point that I think is key from a behavioral standpoint to the above quote. Devices like the notebook are kept at arms length. Yet a device like the iPad is held, touched, and used in a much more intimate way. Tablets to a degree are significant because things we hold we love. Microsoft used terms like ‘lap-ability’ and the Surface has a kickstand, implying it will be set down more than held, while the iPad and Apple’s focus on the experience is more around ‘hold-ability.’ From our observational research on how mass market consumers use tablets, ‘hold-ability’ is more important than ‘lap-ability’. We are seeing a legacy PC mentality being applied to computing by Microsoft with Surface. This is the root of the problem. I have no doubt there are small niche segments of the business market that are interested in products like Surface but my conviction remains. Surface is not a mass market product. Perhaps that is not the point. 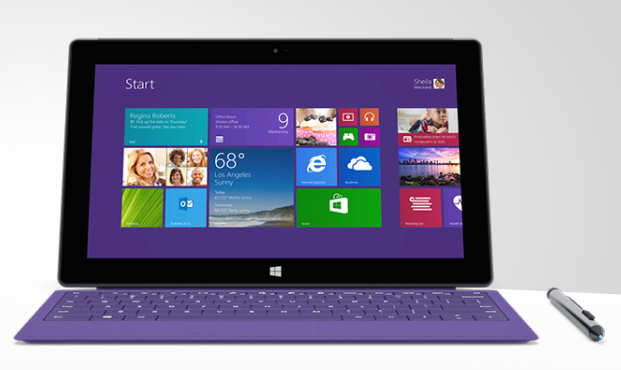 But I still struggle to find the point of Microsoft making the Surface. One may argue that no vendor has done a better job with this form factor than Microsoft. Therefore the Surface is the best of its kind. That will soon no longer be true and Microsoft’s partners will do a better job with these products. Which again will cause us to scratch our heads and ponder why Microsoft is in this business. Why is RT Still Alive? The last question that is still perplexing is why is RT still alive. Microsoft is now in sole possession of the Windows RT market. Their partners have all for the most part abandoned it. We can debate the reason for this all day but my belief is that Microsoft understands they need an ARM solution. If not for this version of Windows but perhaps the next one. We know almost nothing about the next version of Windows. But we do know that Steve Ballmer has implemented a cadence of RAPID RELEASE FOR WINDOWS. So I expect we will see the next version of Windows sooner perhaps than people think. My intuition regarding the next version of Windows is that Microsoft will seek to truly unify the Windows code base for PCs, tablets, and phones. To do this Microsoft has to assume that the world will not be dominated by x86 in all those segments and therefore to participate in the upside of both tablets and smartphones, Windows, the development tool kits, and the developers all need to be on board with developing for ARM as well. RT is still alive simply because Microsoft needs the experience with regards to Windows on ARM and needs to continue to make strides for making it as easy as possible for developers to create cross screen and cross silicon software. Surface RT may seem like a lame duck now but it is the bigger picture we need to look at with regard to Windows on ARM.